The Stratford Triathlon offers an indoor pool swim at Stratford Leisure Centre in the picturesque and historic town of Stratford-upon-Avon. Now in it's 20th year the event has seen thousands of competitors take on the challenge of swim, bike and run with a fun & friendly atmosphere and great support from the cheering crowds. The event is aimed at all abilities and all levels of fitness, from complete novice to club and pro triathlete, as well as charity and fun competitors. At the Stratford Triathlon our “Fun” and “Sprint” distances are very popular with first timers and beginners, with short achievable distances that still offer a challenge. Our fun & friendly events are open to everyone and an ideal introduction for beginners to the sport of triathlon. 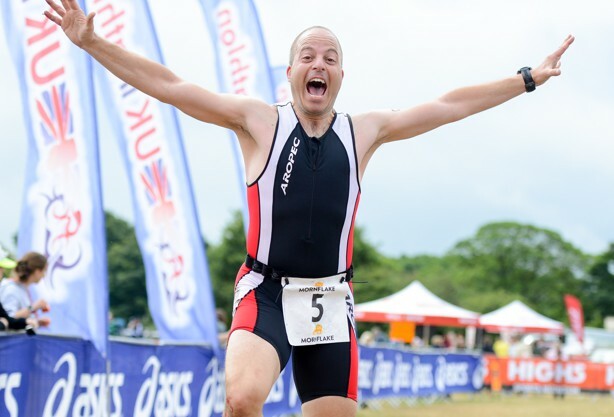 The Stratford Triathlon offers a supportive environment, with cheering crowds and a fun & relaxed atmosphere meaning everyone enjoys the day, competitors and friends & family alike. Thank you from a triathlon newbie. Brilliantly organized and THANKYOU to all the marshalls. p.s any tips on getting the tattoo sticky off your arms. - even tried some vodka this morning!! Zoe Elliott (TOP TIP: cotton wool with baby oil is great for sticky remnants)! !